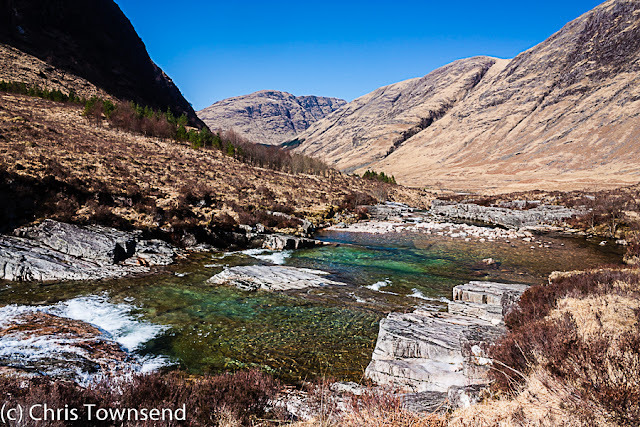 Glen Etive is a lovely glen in the Western Highlands, surrounded by fine rugged mountains laced with deep narrow ravines and corries down which tumble fast flowing streams. The latter have attracted the eye of developers and there are plans for run of the river hydro schemes on seven of them. If allowed to go ahead these will completely alter the character of the glen and destroy its wild land feel. This is an area that should be left to become wilder with the pressures of overgrazing and commercial forestry removed not one sacrificed for a tiny smidgeon of energy. 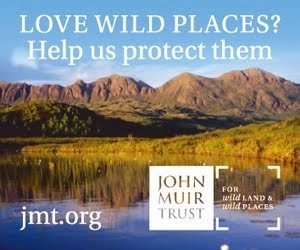 All the proposed schemes lie in areas that are supposed to be protected - the Ben Nevis and Glen Coe National Scenic Area, the Glen Etive and Glen Fyne Special Protection Area and Wild Land Area 9 Loch Etive Mountains. If these designations are to mean anything these schemes should not go ahead. The developers of course say they'll leave no mark - a standard claim that's virtually never true. However much restoration is done - again always promised, not so often carried out - the landscape will not be the same, it will be sullied. Of many trips I've made to Glen Etive over the years one stands out. 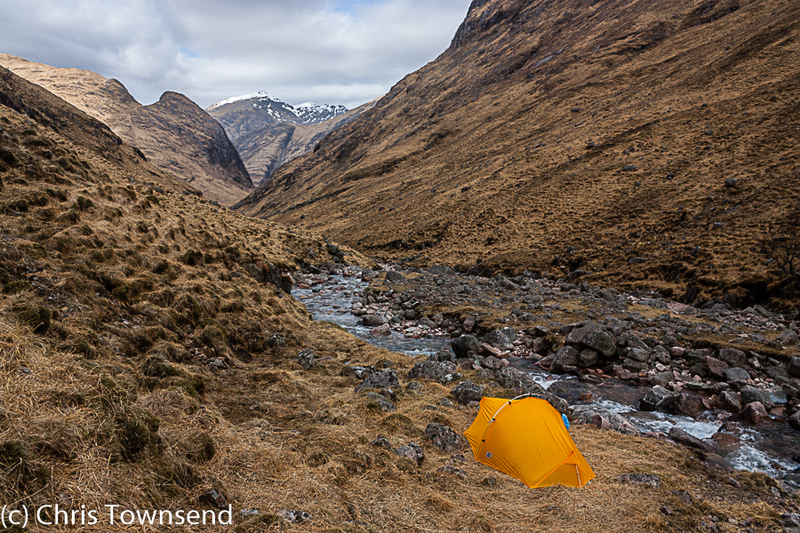 Late one winter I walked up beside the Allt Chaorainn - one the rivers threatened with development - and camped beside it for two nights while I explored the surrounding hills. 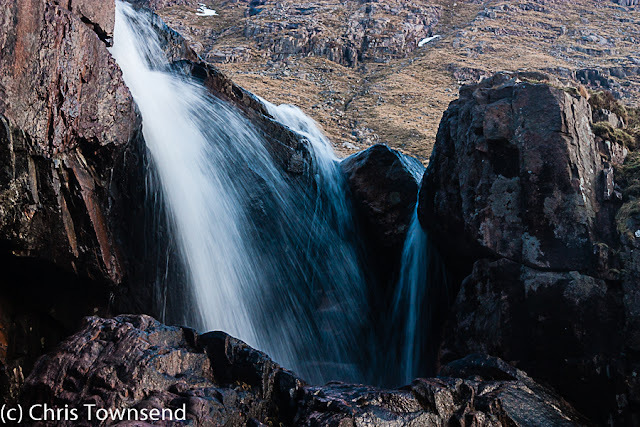 There was snow on the tops, frosts at night, and, once away from the road in Glen Etive, no signs of human developments. It should stay like that. 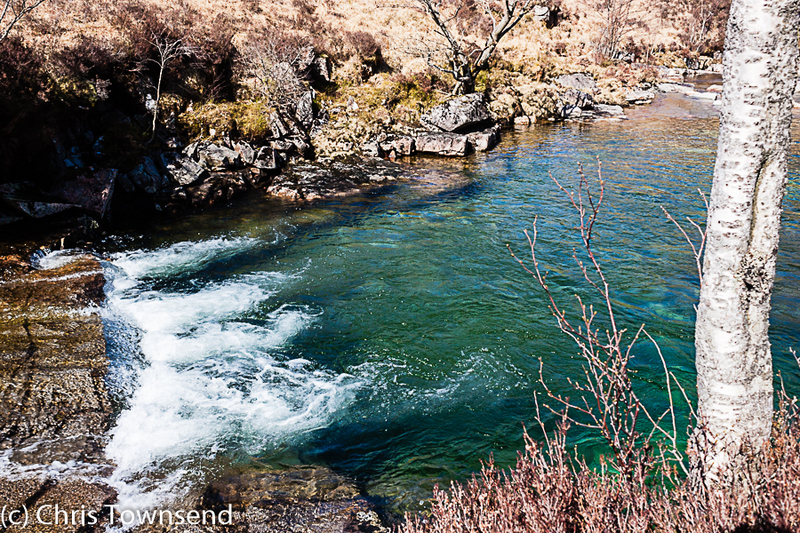 All the photographs in this piece were taken on that trip. For more information with a detailed analysis of the schemes and their potential impact plus information on how to object to them see this excellent post from Parkswatch Scotland. 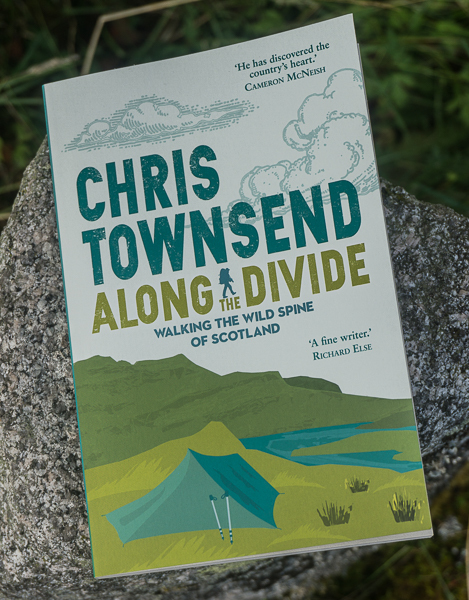 Mountaineering Scotland and the Grampian Club have objected too, especially in relation to a club hut that would be affected. For the Grampian Club David Gibson says 'if approved, these schemes would have a significant visual and physical impact on the wild land and amenity of the glen for walkers, climbers, photographers and canoeist'. 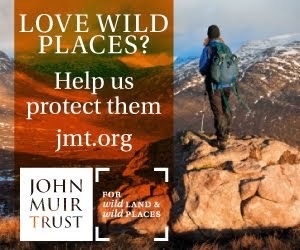 If you care about Glen Etive and wild places in general please object to these schemes. 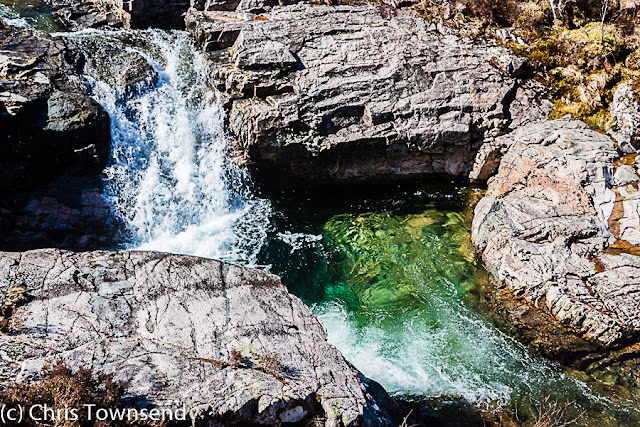 We cannot afford to lose more of the little wild land we have left. Thank you for giving this issue the prominence it deserves. 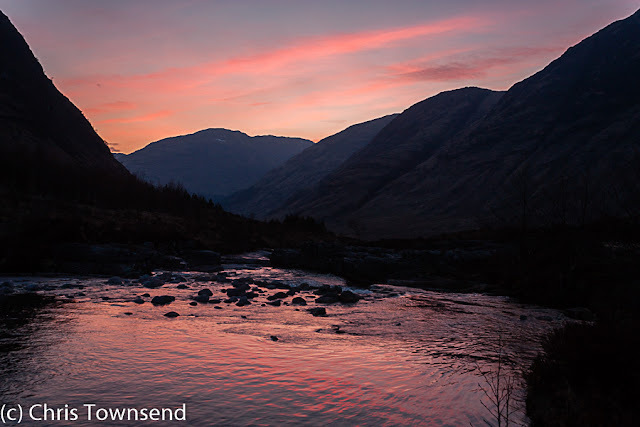 While it beggars belief that a glen as well-known and loved as Glen Etive should be subject to this kind of speculative outrage it is not beyond the bounds of possibility that these schemes will be waved through. It really has got this bad in Scotland. Coming on the back of plans to put yet more wind turbines on the Monadhliath along with 7 hydro schemes on just about every viable burn between Ben Nevis and Spean (including Coire Leis) in support of a proposed new factory in Fort William and our mountains really are taking a pasting. If the outdoor community doesn't start pulling together big time and show concerted opposition to this kind environmental vandalism there will soon be nothing left to enjoy ... unless you like walking on bulldozed tracks by silent rivers while gazing at revolving blades on the horizon. None of that justifies turning it into a hydro park.